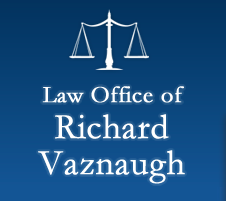 Principal, Law Office of Richard Vaznaugh, San Francisco, CA, 1997 to present. Trained with experienced employment attorneys in first several years of practice. Externed for San Francisco Superior Court Judge William Cahill (ret. ), 1994. Law clerk, employment litigation, Siegel & LeWitter, Oakland, CA, 1993. Law clerk, employment department, La Raza Centro Legal, SF, CA, 1992. Associate Editor, Hastings International and Comparative Law Review. Member, California Employment Lawyers Association. 2001 to present; Member, Legislative Affairs Committee; Federal Rules Of Civil Procedure Task Force. Member, State Bar of California, Employment and Labor Law Section. Associate Member, McFetridge Inn of Court 2000-2002. California Employment Lawyers Association Annual Conference, Pasadena, CA, October 2008. Author, Note, Environmental Muscle for the North American Free Trade Agreement, 17 Hastings International and Comparative Law Review, 207; multiple journalistic publications for The Modesto Bee, The San Francisco Business Times, The Wenatchee World, and other newspapers. Fluent in Spanish, conversant in Portuguese. Mr. Vaznaugh lives in San Francisco, California with his wife Emma Sanchez-Vaznaugh, ScD and their two young children. Ms. Sanchez-Vaznaugh is an affiliated faculty at UCSF’s Center on Social Disparities in Health and Associate Professor at San Francisco State University. Mr. Vaznaugh’s roots in the Bay Area go back four generations and more than 100 years to his great-grandfather Fred Vaznaugh. 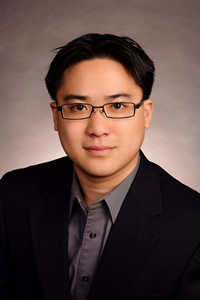 Mr. Kwan is an Associate Attorney with the office. 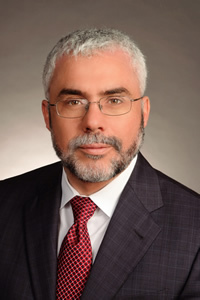 He has committed his practice to representing employees in labor and employment disputes and has experience in overtime, wage and hour, disability discrimination, age discrimination, race/national origin discrimination, and family and medical leave disputes. Mr. Kwan has broad experience in legal technology, including electronic discovery, and uses these skills on a day-to-day basis to obtain and track down digitally stored evidence in our cases. Prior to passing the bar, he worked in the Litigation Support Section of the California Attorney General’s Office learning a variety of litigation programs common in the legal industry, including Concordance, Law PreDiscovery, CaseMap, TextMap, and Trial Director. Mr. Kwan is a graduate of the University of California, Hastings College of the Law. While at Hastings he worked for the Workers’ Rights Clinic as a student counselor and he assisted the Honorable Steven B. Berlin of the U.S. Department of Labor, Office of Administrative Law Judges as a legal extern. Mr. Kwan is a native of Hacienda Heights, CA in the Greater L.A. Area and received his B.A. in English from the California State University, Los Angeles.